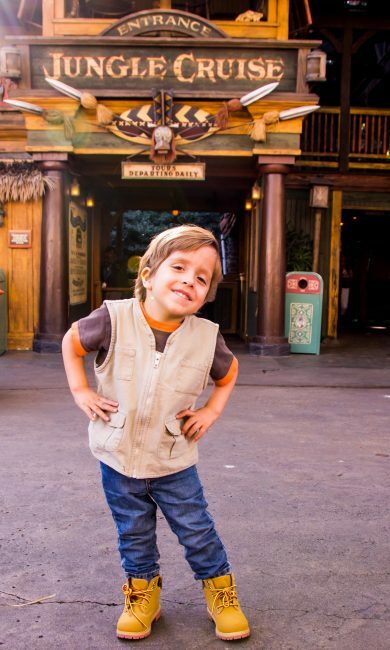 Disneyland is a popular family vacation destination. Because of this, Disneyland can be crowded. Everyone seems to want to know how to avoid Disneyland crowds, but the truth is, there are always people at Disneyland. Even though it is less busy during certain months, there are still going to be a decent amount of people, and lines, any day of the year. While each year has unique events and circumstances that will affect crowds, there is a general pattern of when the parks will be more crowded. When is Disneyland most crowded? 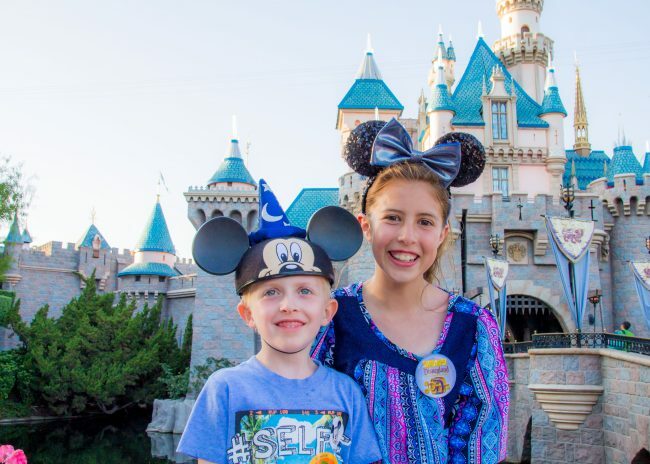 The biggest question that people ask in the Disneyland with Kids Facebook group is “When is the best time to go?” Usually when members ask this, they are actually asking “When is it not crowded?” So how do you avoid the largest crowds at Disneyland? One of the biggest mistakes people tend to make is looking at crowd calendars. Crowd calendars for Disneyland are rarely correct. I mean, there are a few obvious time frames that are always packed, but I rarely see Disneyland as a “ghost town” anymore. And many days that are marked “forget about it” are actually not bad at all. Part of the problem with Disneyland crowd calendars is that they base it off past years or annual pass blackout dates. While this can give us some trends of attendance, often times when higher annual passes are blacked out, we find the parks are a lot less crowded (with a few exceptions). The other problem with those crowd calendars is that “busy” is an opinion. “Crowded” is an opinion. What is crowded to one person, might be manageable for another person. This is super important to keep in mind if you still look up one of those Disneyland Crowd Calendars. There are a few times of year that are always the most crowded at Disneyland. These are times that “everyone” has the same vacation in a short amount of time. Thanksgiving week is one of the more crowded weeks at Disneyland. 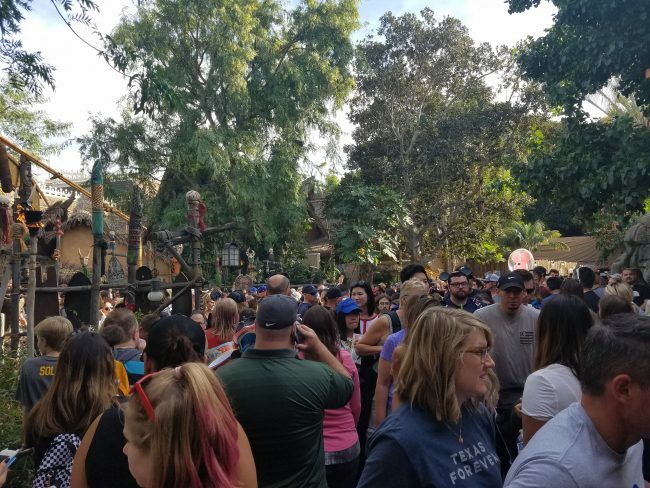 While the park does not normally reach capacity during this week, we often seen wait times of over an hour or more on the more popular rides like Guardians of the Galaxy: Mission Breakout! or Radiator Springs Racers. The latter part of the week tends to be more crowded at Disneyland then the beginning of the week. Christmas or Winter break is easily the time frame with the largest crowds at Disneyland. In fact, the last two years we have seen days when Disneyland has reached or neared capacity at one of the parks. 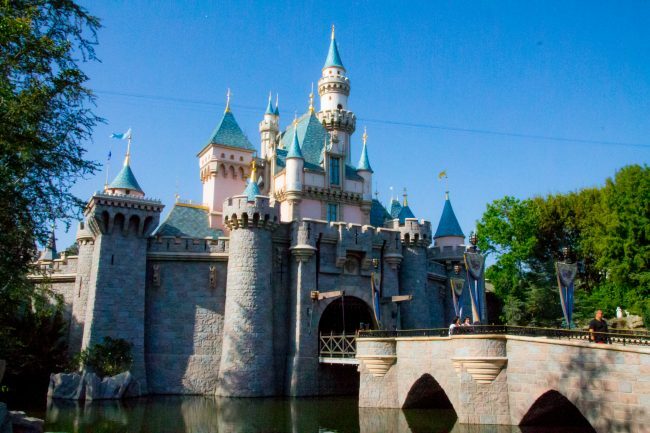 When Disneyland reaches capacity, it is usually only at one park, so guests are still able to enjoy the other park that day, though both parks are quite crowded. 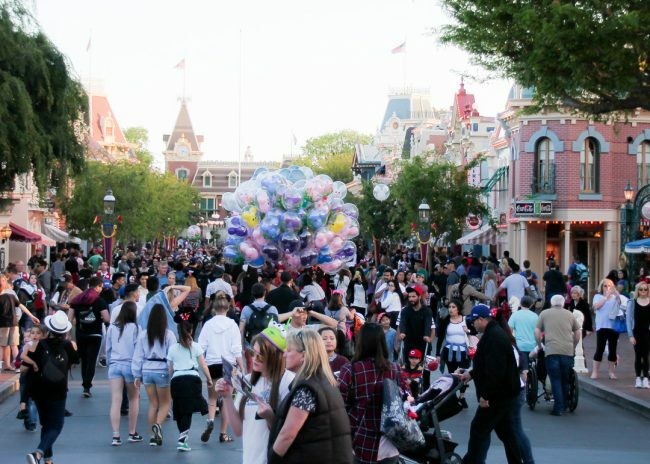 Is Spring Break Crowded at Disneyland? A lot of people worry that Spring Break will be overly crowded at Disneyland. Truth is, while it is busier than your typical January or February day, Spring Break is pretty manageable because vacations for spring are spread out over two months. The busiest weeks tend to be those surrounding Easter weekend (though Friday through Sunday of Easter weekend is notoriously less crowded than the rest of that time). If you are worried about spring break crowds at Disneyland, and are not tied to a school schedule, try going within the first two weeks of March or the last two weeks of April for slower times. What Are The Summer Crowds at Disneyland Like? Summer is much like Spring Break. With vacations being spread out over three months, you actually do not have the kind of wall to wall people situations you get during the fall and winter breaks. I have gone several times in the summer and found wait times where we could simply walk right on the rides. 5 minute waits for popular thrill rides. June does tend to be more crowded as locals try to get in last visits before their annual passes get blocked. As soon as the SoCal annual passes are blocked though, you can tell a big difference in the park. How Will Star Wars Land Effect Crowds at Disneyland? Wondering if the opening of Star Wars Land will effect crowds at Disneyland? You are not alone. This is actually one of the biggest topics in Disneyland with Kids when it comes to 2019 travel plans. In all honesty, we do not know how Star Wars Land opening will change the crowds at Disneyland. 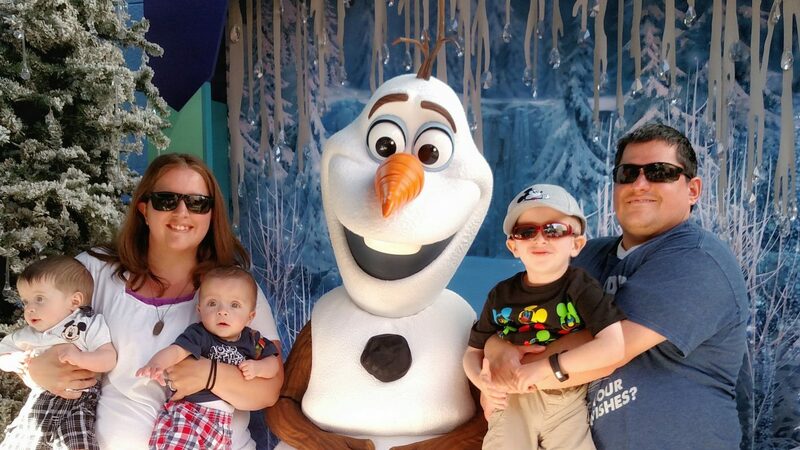 What we do know is that Disneyland has changed how Annual Passes work. Annual Passholders may now be blocked from one park but not the other. Disneyland Deluxe Annual Passes are blocked from Disneyland park beginning mid-June. So it looks like Disneyland is looking to control crowds a bit already. We also don’t know if Star Wars: Galaxy’s Edge will bring in more people than it will keep away. What we do know is that openings of new lands are unpredictable. Cars Land saw large crowds, but Pixar Pier did not. The difference is one was a brand new land and one was a retheming. I imagine that Star Wars: Galaxy’s Edge (aka Star Wars Land) will lean towards the Cars Land scheme. Do I think it is worth putting off a vacation because of the crowds? Nope! I just think it means you will want to utilize all the tips to beat Disneyland crowds. 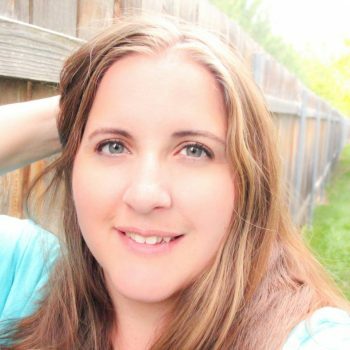 Halloween Crowds – Do They Exist? One time of year that many plan on visiting the park, and they think will have light crowds is during Halloween time. Some guests may be in a bit of shock by the number of people in the park, especially if you travel during mid-October. Crowds at Halloween in Disneyland have definitely increased a ton! With so many of the western states now having fall breaks and so many long weekends, Halloween and fall at Disneyland is more crowded than it used to be. I would say it is comparable to some of the weeks of Spring Break. The biggest crowd factor at Halloween is the Halloween Parties. On nights when the parties are held in one park, guests who did not by tickets to Mickey’s Halloween Party tend to flock to the other park. This can make that park EXTREMELY packed. One night like this was one of the few times I left a park while still holding Fastpasses for popular rides. I just couldn’t handle those crowds. It is rare to be able to get a photo like this with nobody in the background in the middle of the pathway in Adventureland. The good news is that the party offers much lower crowds as it is a separate ticketed event. 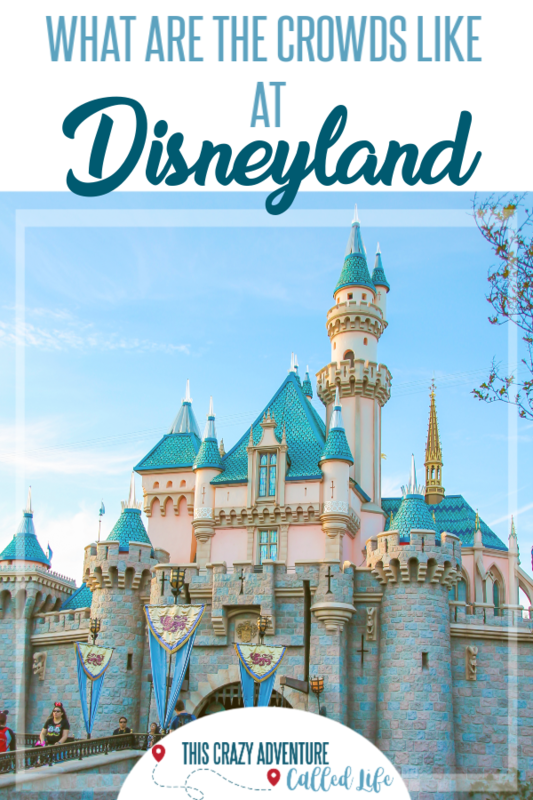 If you are planning on going to the Halloween party, I have all the best tips to make the most of Disneyland’s Halloween Party, but the low crowds are totally worth it. When is Disneyland Least Crowded Then? Disneyland is never dead and will always have some crowds, but there are definitely a few times during the year when crowds are much lower. The slowest season as far as crowds is January and February. The weekends, especially holiday weekends, tend to be busier, but those two months, after the holiday celebrations end, are generally very low in crowds. It is a trade off though. You will typically see the most ride and show closures, shorter hours, and more rainy days during these months. So When Should You Go To Disneyland? I am a firm believer in taking the crowd guestimates with a grain of salt. When crowds are lower, hours are shorter and there are more closures. When crowds are higher, you have longer hours and most rides are open. Other than avoiding the crazy busy Thanksgiving and Christmas breaks, any day is a good day for Disneyland. « Disneyland Ticket Prices Went Up! But You Can Still Get Old Prices!